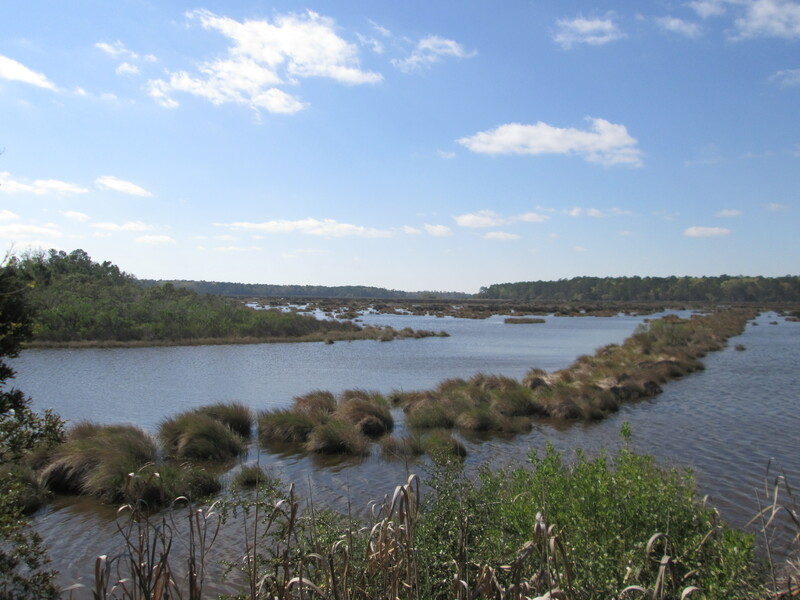 February 2nd is “World Wetlands Day.” Given that I am a Sea Island ooman, the waterways of all names appeal to my soul. There is an ancestral energy that flows through the waterways as it does in my veins. I am sure it is that energy that orchestrated my journey during Black History Month to stand before an international audience on “World Wetlands Day” and speak of the journey that my people took to be along the Intercoastal Waterway still holding on to our history, heritage, and culture. It was Divinely Ordered to sit at the table with a myriad of people that are literally seeking to keep the land beneath our feet and the tides from removing our cultures and cultural resources from the lands as the climate continues to change. The flow into and out of the international arena is one that is smooth for me. I am often the one that folks say “makes waves.” However, this journey was one that visually showed me how different the world can be only a few miles away. I left sunshine and spring like warmth to take a journey over waterways that were half frozen to end up in the midst of a snow storm that covered the trees and the hills all around. I felt blessed by the way in which the Creator chose to illustrate this lesson. Since I was going to be one of the speakers about what we need to do in the face of climate change, I was allowed to experience the effects of it in a different climate and look into the faces of those that live in this type of environment as they looked in my face while I told them the story of my Gullah/Geechee Nation environment and all that we see flowing in. 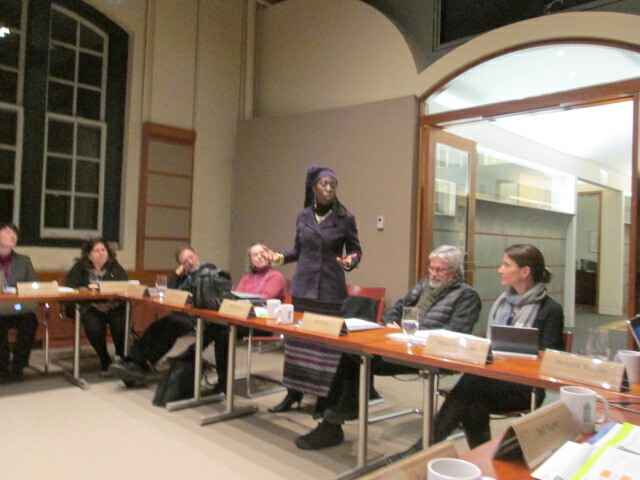 They listened to my voice as I spoke of the things that would flow out in regard to cultural heritage and cultural resources that are encapsulated in the bodies and blood of the people who are indigenous to lands around the world including the lands surrounded by wetlands like those of the Sea Islands in the Gullah/Geechee Nation. In hearing my voice, they heard the voices of my ancestors who had transformed these lands into the cultural landscapes that are also living embodiments of cultural heritage. They looked into my eyes and saw the souls of the millions of Africans and indigenous Americans that traversed the waters and came together and who were no doubt spiritually in this room along with the spirits of the ancestors that I saw in each of their eyes as we shared our stories and shared our journey to change the climate of the world for the better. We seek to flow together from this place and this space back out into a warmer world wherein the warmth is now created by the passion and positive energy of people that respect each other enough to connect with and collaborate with one another. Yeah, wok togedda chillun! Doncha git wearee! As I looked out the window over the shoulders of the people that I was in the midst of and saw the snow falling, my mind would recall the image of just two days before as I poured libation along the marsh in honor of our ancestors. I thought to myself what a time it is to make history by being part of such an uplifting international journey. My soul felt like shoutin and I could visualize a praise house on the marsh and then the church. Yes, praise GAWD frum whom disya blessin da flo! 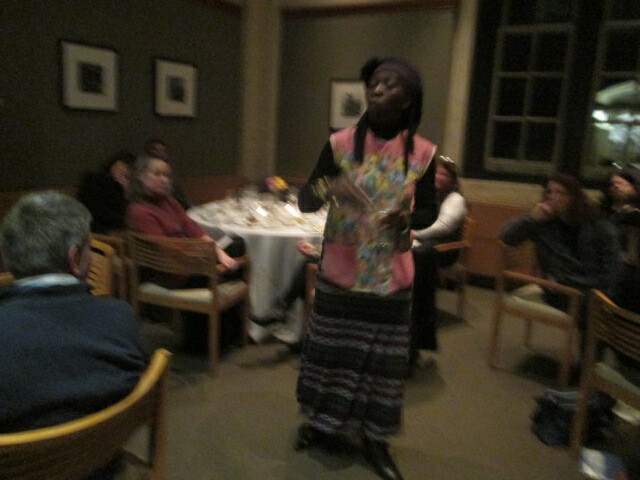 I truly have been blessed to have shared “World Wetlands Day” in a uniquely Gullah/Geechee way! I appreciate your continued support! See you soon!